Half Moon Cafe CafeThe historic Half Moon café situated in the heart of Roberts Park offering a range of dishes, including brunch, hot dish of the day, homemade soup, paninis, toasties, homemade cakes, pastries, Italian coffee, selection of teas and choice of Brymor ice cream . It is also a good viewing aspect for cricket matches. Roberts Park has recently been restored with money from the Heritage Lottery Fund and various other partners. There’s a brilliant new play area and skate park, as well as a beautiful bandstand where concerts are staged throughout the summer months. Come down for a stroll or relax on the grass and soak up the atmosphere of a cricket game. 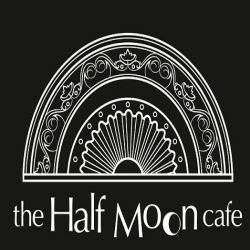 The historic Half Moon café situated in the heart of Roberts Park offering a range of dishes, including brunch, hot dish of the day, homemade soup, paninis, toasties, homemade cakes, pastries, Italian coffee, selection of teas and choice of Brymor ice cream . It is also a good viewing aspect for cricket matches.